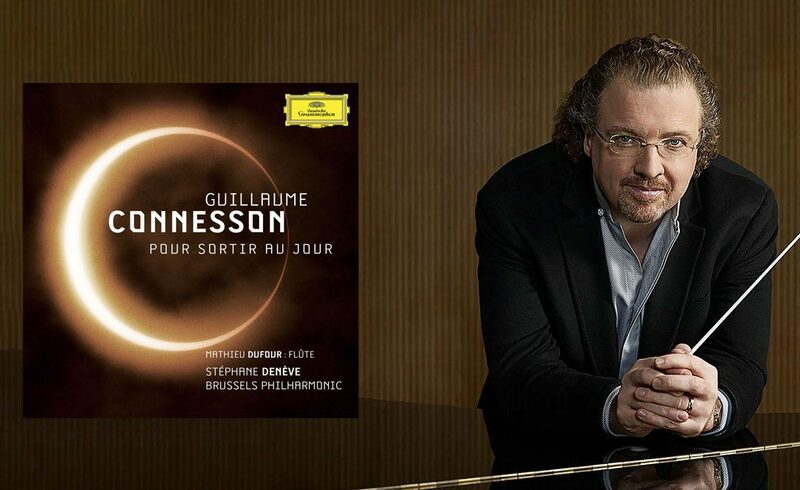 Chief Conductor Stéphane Denève and the Brussels Philharmonic have won the coveted 2016 Diapason d’Or of the Year for their Deutsche Grammophon release Pour sortir au jour. The album, featuring 21st century works by composer Guillaume Connesson, has earned universal acclaim from the classical press since its release in Summer 2016. In addition to this prestigious honour, the album was awarded Classica magazine’s CHOC of the Year 2016 and nominated for the International Classical Music Awards (ICMA). “I am extremely delighted and proud that our first CD with the Brussels Philharmonic for the prestigious Deutsche Grammophon label receives today the Diapason d’Or of the Year 2016, only a few days after being awarded the Choc Classica of the Year 2016 too! I would like to thank Guillaume Connesson for his marvellous music. A beautiful, rich, profound and perennial music which pleases musicians, audiences and critics equally, which is a rare consensus! I would like to thank profusely as well the wonderful musicians of the Brussels Philharmonic, our enthusiastic staff and its general Director Gunther Broucke, who all made this success a reality. A passionate proponent of the music of today, one of Denève’s main goals when he assumed the role of Brussels Philharmonic’s Chief Conductor was to connect today’s symphonic music with today’s society. Diapason calls the music “addictive” and Pizzicato names it “a must have” adding that “for those not yet a fan of contemporary music, Pour sortir au jour will make you revise their opinion”. The Belgian press has also embraced the album calling it “sparkling” (Classica) and a “true delight” (Le Soir). Denève and the Brussels Philharmonic will take Connesson’s music around the world with performances of Maslenitsa in November in Brussels and Ghent and in April in Brussels and London. In June 2017, they will perform Flammenschrift and E chiaro nella vallei I fiume appare throughout Japan and South Korea. Elsewhere this season, the now three-time Diapason d’Or of the Year-winner Denève has performed or will perform Connesson’s music with the Orchestre National de France in Paris, and with the Vienna Symphony at the Vienna Musikverein.